Housing starts fell in December to a seasonally adjusted annual rate of 1.149 million, 2.5 percent below the revised November estimate of 1.179 million, but 6.4 percent above the December 2014 rate. 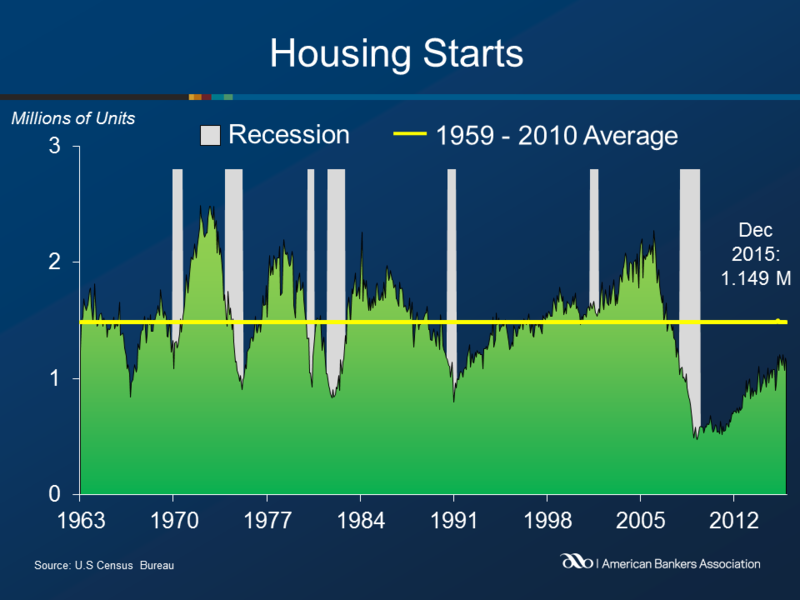 Housing starts have remained above the 1.0 million rate for nine consecutive months. Housing activity was mixed across regions, rising 24.4 percent in the Northeast, but falling 3.3 percent in the South, 7.6 percent in the West and 12.4 percent in the Midwest. New building permits also fell in December, dropping 3.9 percent below the November rate to 1.232 million, but grew 14.4 percent from December 2014. Housing completions in December were at a seasonally adjusted annual rate of 1.013 million, a 5.6 percent monthly increase, and a 7.9 percent increase from a year ago.